Your wedding – perhaps it’s a long way into your relationship, a step you take after many years of closeness and experience together. Or perhaps it’s something you are doing fairly early on, a launching pad that really does feel like the start of your journey together. Whichever way, there’s no doubting the significance of this juncture in your lives. It is a moment of renewal, a symbolic beginning of your partnership’s future. To go down the path of marriage, which legally and socially recognises the significance of your love, no matter what anyone says, is a life-changing step. With this in mind, it is crucial that your wedding ceremony truly reflects who you are in a beautiful and meaningful way. In the first interview we will fill out the Notice of Intended Marriage form, which is the legal starting point for any Australian wedding. 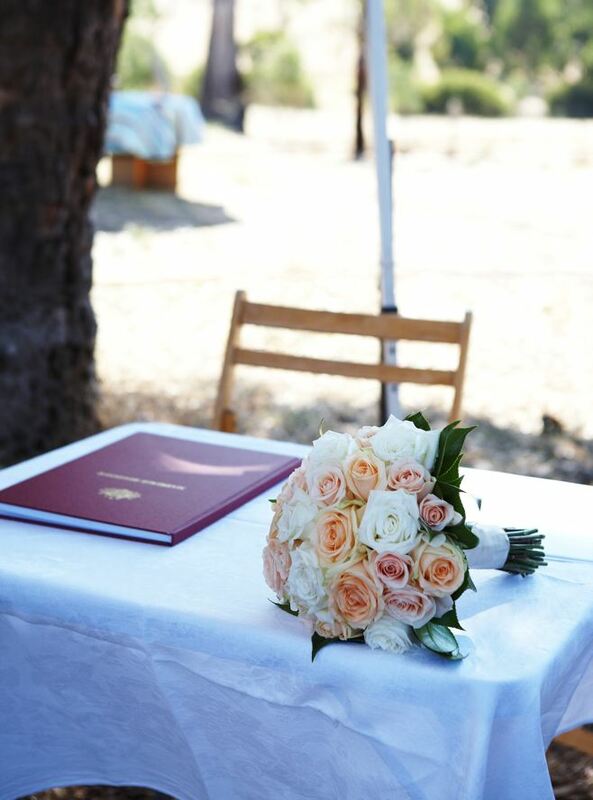 I am a fully trained Marriage Celebrant and registered by the Commonwealth of Australia, and you can have absolute confidence that this and all other legal requirements will be attended to with the greatest possible care and accuracy. We will then use our time together to find out who you are as individuals and as a couple, and to find out what are your hopes and dreams for you wedding ceremony. I hold a wide library of resource material and will do whatever it takes to find that special ritual or reading which really says what you want to say. If it happens that you’re a couple who need a bit guidance in coming up with ideas for the ceremony, I will be there to help you with that as well. After this, I will begin the process of writing up your Wedding Ceremony. This will be followed by a careful process of consultation, feedback and lots of fine-tuning, until the ceremony is absolutely perfect for the big day. A rehearsal is a vital part of making sure all goes smoothly, so I will guide you through a well-run rehearsal to iron out any little bumps. Frightened you’ll mess up your vows? No problems, we’ll have them flowing smoothly. Never used a microphone before? That’s ok, I’ll show you how it’s done. You cannot overestimate just how important a well-run rehearsal is in making the everything run like clockwork on the day. I will also provide the PA system to ensure the ceremony is presented clearly and audibly, as is required by the Code of Practice for Marriage Celebrants.